Polymer clay is the prefect medium for building a tiny clay house. Learn our maker secrets in this tutorial. My daughter Anna used our Sculpey mini metal cutters to build these adorable tiny clay houses. The metal cutters make this process so easy that even a five-year-old (with good fine motor control) can build the little homes. 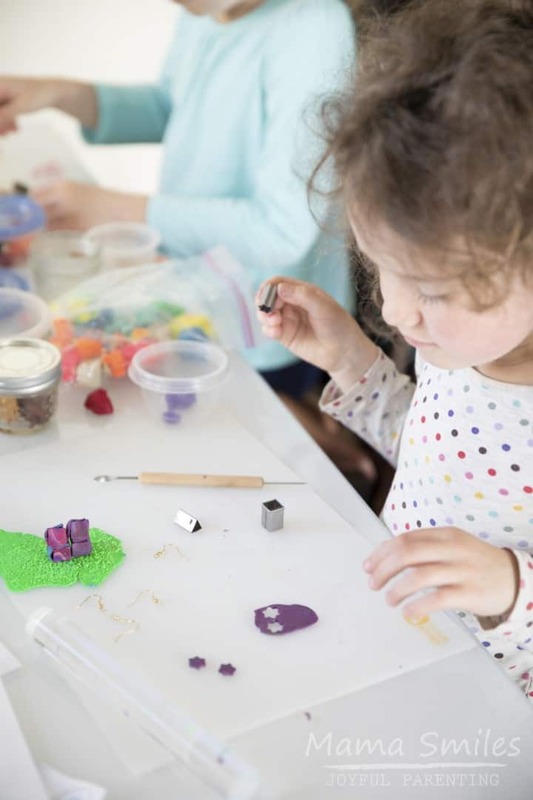 Note: polymer clay is a professional craft material, not children’s craft supplies. Use your best judgment as to whether or not your child is ready to work with it, and always supervise. Sargent Art’s Sculpt It! gluten free air dry modeling clay for kids is a great kid material alternative you can use; you can read more about this gluten free clay on my other blog, Top Toy Finds. My 5yo used Sculpey polymer clay to build these houses. Other clays will also work, but polymer clay is easy to work with and sets really well after baking. To build the houses, knead your selected clay, then roll it out with your acrylic roller. 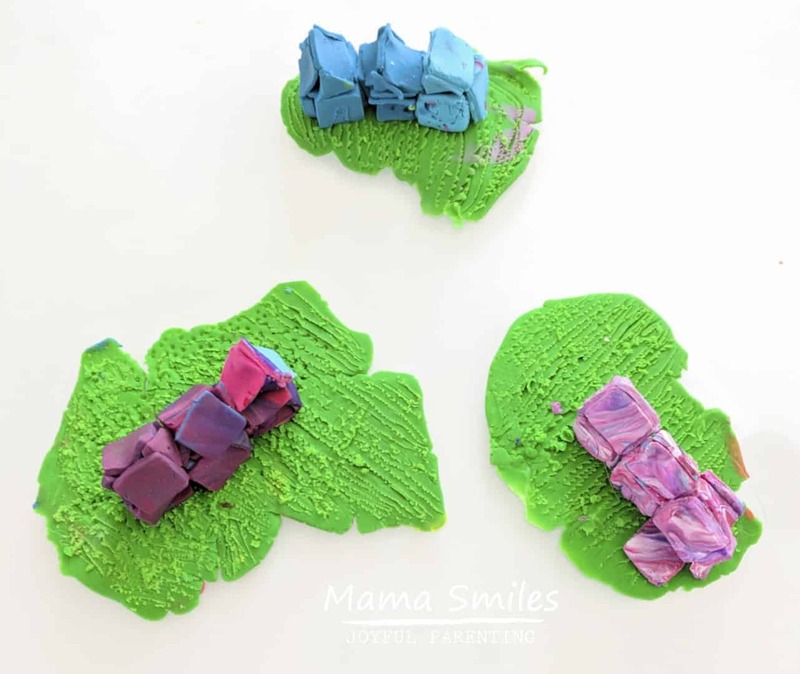 Once the clay reaches the thickness you want (Anna used about 1mm thick clay), cut out your house shapes using the square and triangle Sculpey mini metal cutters. You can also roll out some clay to work as scenery. Anna used a fork to create the grass texture you see on the base that she built her homes on. Make sure you follow the finishing directions of the clay you use. The Sculpey clay we used needs to bake at 275F (135C) for 15 minutes per quarter inch of thickness. Since these houses were thin and hollow, we baked them for 12 minutes. I always err on the side of baking to little, since you can always bake more but you can’t undo baking. What other polymer clay ideas do you have to share that our family should try? Share your recommendations in the comments below, on my Facebook page, or by tagging me on Instagram. We would love to see photos if you use this tutorial to build a tiny clay house of your own! They’re so cute! Every time you post a Sculpey idea, it gets me itching to try it. You need to! It is one of my favorite crafting materials. So tiny and so precious! Love these little houses! They are so cute! Anna did a great job!